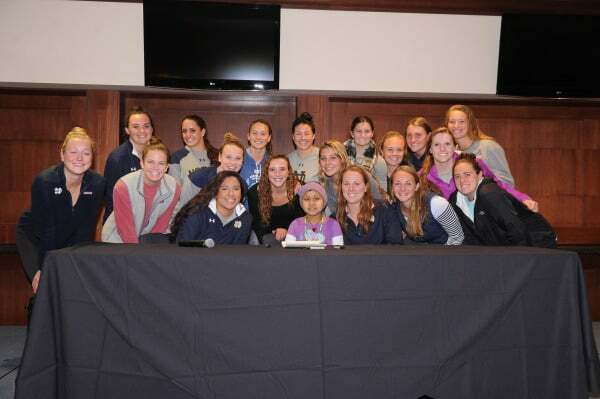 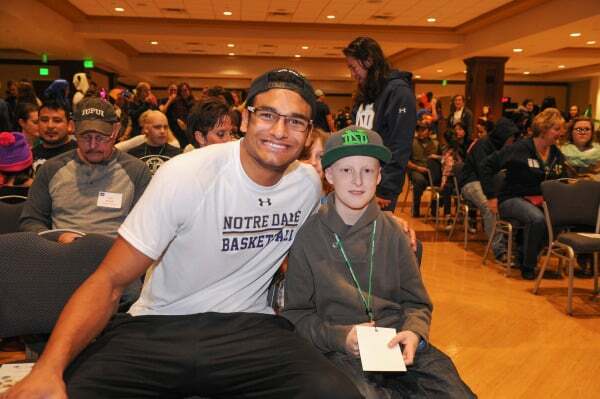 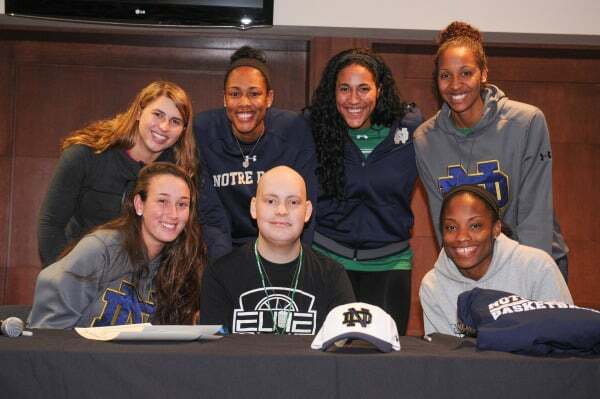 An annual program that pairs Notre Dame Varsity teams with patients (ages 5-18) in the pediatric Hematology/Oncology unit of South Bend’s Memorial Hospital. 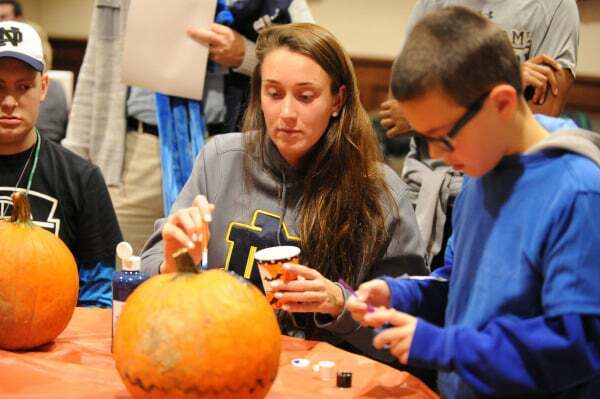 Throughout the year, student-athletes find creative ways to spend time with their newly signed "teammates." 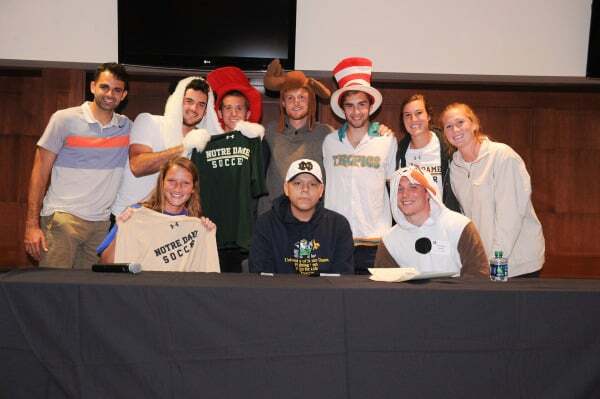 Talk to your team SAAC rep to get involved! 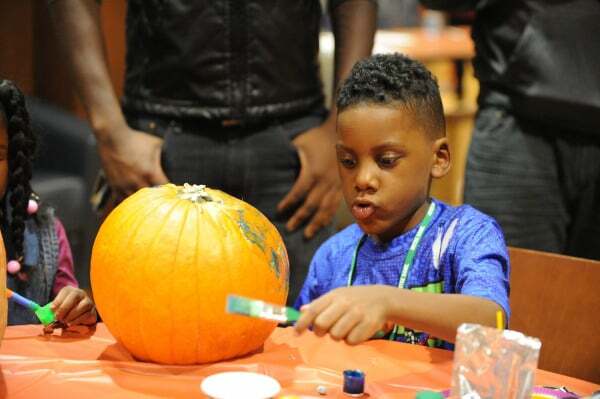 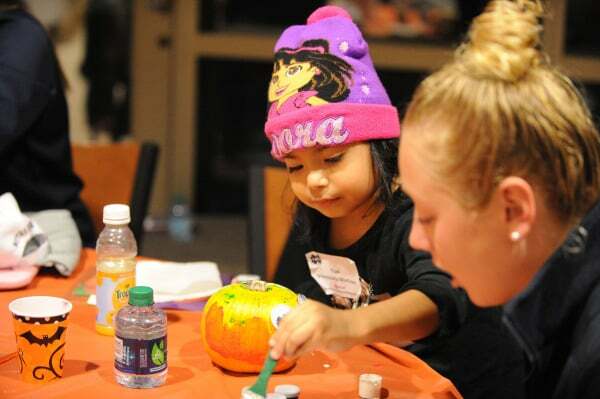 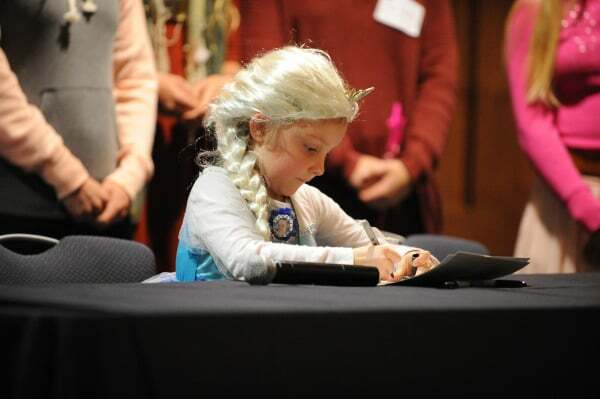 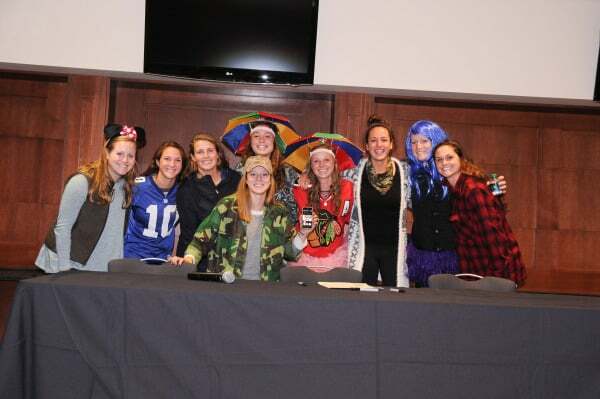 This year’s FIFFL teammates were invited to a Halloween themed Signing Party. 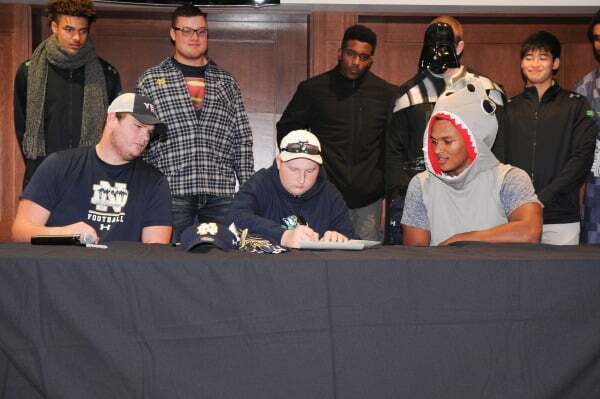 New teammates and varsity student-athletes signed their letters, many dressed up in Halloween costumes, and were asked a number of questions during their press conference. 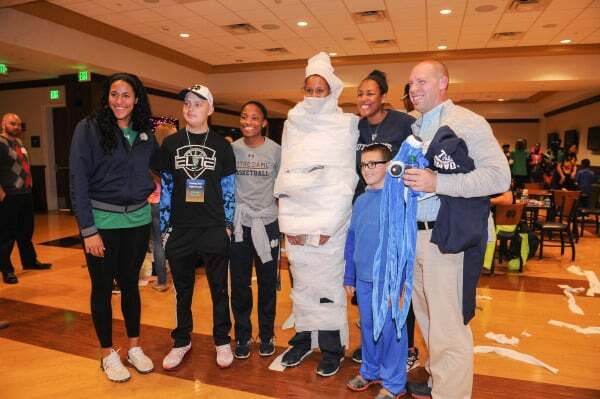 After the press conference, teammates decorated pumpkins, played musical chairs, wrapped each other as mummies, danced to the Monster Mash, and had a blast taking pictures in the photo booth! 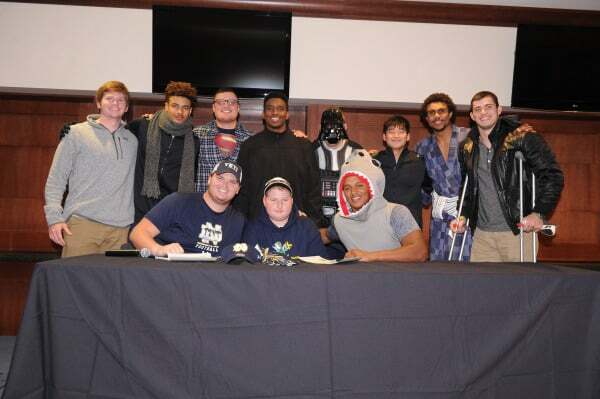 This year’s FIFFL began with a pizza party for the new teammates and their families, followed by a signing party and press conference. 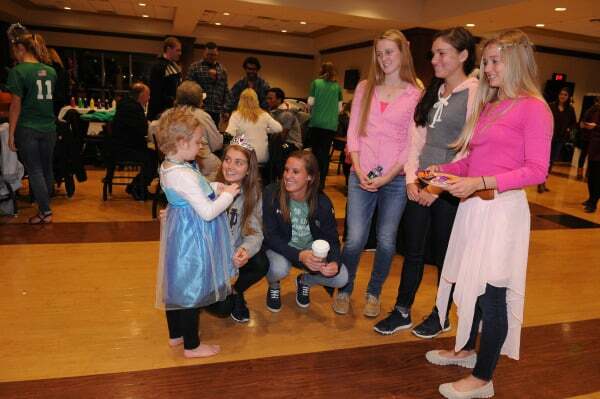 During the press conference, new teammates were asked really important questions about topics such as superheroes, princesses, and dinosaurs. 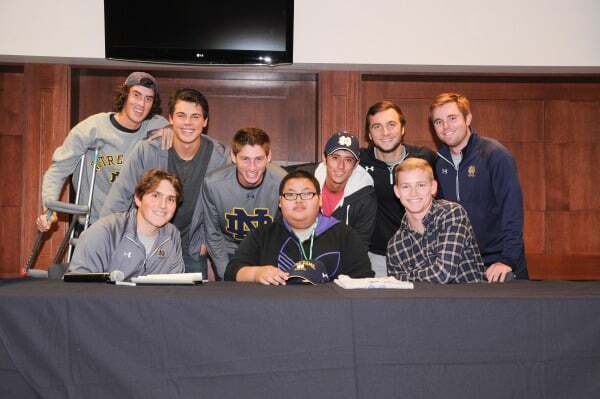 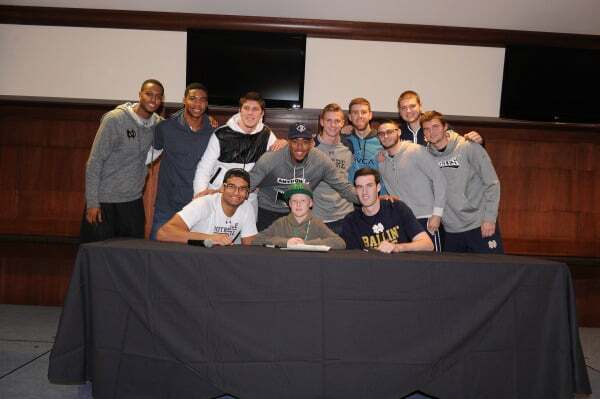 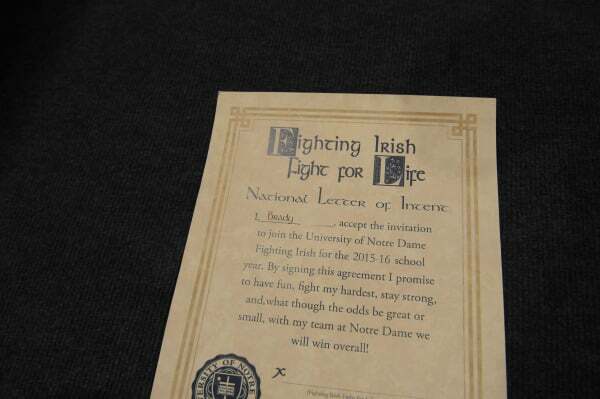 After each new teammate signed a “letter of intent” and committed to their new team, they were then escorted to Alumni Stadium, where the new teammates were recognized at halftime of the Notre Dame Men’s Soccer game.